Tired of the hustle and heat in Manila? Let me suggest you take a trip to the Evercrest Golf Club & Resort. 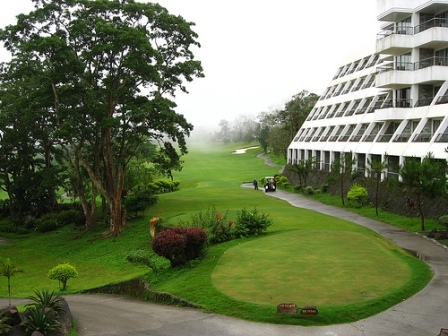 Barely 2-hours drive from Manila, it is nestled within the cool mountains of Nasugbu near Tagaytay City in Batangas. It is usually a welcome 4 to 6 degrees cooler than Manila. If you are an avid golfer then you will be happy to know the 18-hole championship golf course was designed by the golf legend Arnold Palmer. The course was built in 1995, is a 7,200-yard par 72 covered with Tifton grass on the fairways and Tifdwarf grass on the greens. I never really knew grass could have such fancy names until I decided to write golf reviews for my site, amazing. Arnold Palmer did a really good job, creating a challenging course with deep ravines and steep hills. But what is most impressive is the “state of the art” drainage and irrigation system to keep the course lush and green. There is a pro-shop, at the Evercrest Golf Club and Resort, which offers a decent selection of clubs. A driving range and putting green to perfect your putting and swing. In addition, they have really friendly golf professionals for all levels. You also have a choice of excellent caddies and golf carts. 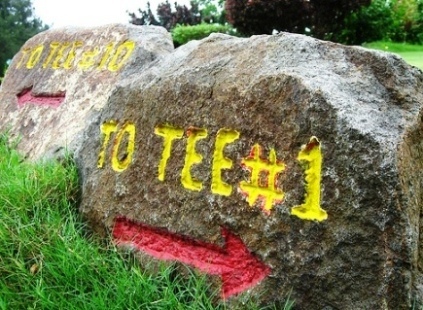 I had one who made fantastic recommendations on which club to use at each hole. It made a difference to my game. Comments from one of the golfers who have played at the Evercrest Golf Club and Resort before said you could consider all 18-holes as signature holes as no two holes are the same. But in my opinion the most challenging holes are hole No 4 – The Devil’s Drop, handicap 1 and hole No 11 – The Jungle Path handicap 2. You will have to play there to appreciate the exciting layout of this course. What I really like about the Evercrest Golf Club and Resort is that there is plenty of other activities to do besides golf. If you just want to relax, there are hot and cold Jacuzzis to soak in or a sauna and spa with a massage. There is a choice of shiatsu or oil massage by trained masseuses. Personally, I prefer the more relaxing oil massage. Now if you have energy to burn after your round of golf, you also have a choice of tennis, squash, table-tennis, basketball, or swimming. Or if you just want to stay indoors, there is a well-equipped game room to amuse yourself. As I don’t particularly enjoy crowds, I prefer to go when it is a little quieter, which is right after Christmas. As a bonus it is also much cooler at this time of year. What I really like about vacationing here is that it is really close to everywhere and plenty of things to do in town. It is also close to Taal Volcano, which is a lake within a lake. A definite must see if you are in the neighbourhood! If you are driving from Manila, you can take either the Coastal Road or South Superhighway. If you are going down the South Superhighway, take Carmona exit and then drive down through Silang to Tagaytay City. It will cost about 1,500 pesos a day to rent a car or van. Negotiate if you want to include the driver. You could also get there by air-conditioned bus but I am not sure how they would be able to store your golf set if you bring your own. 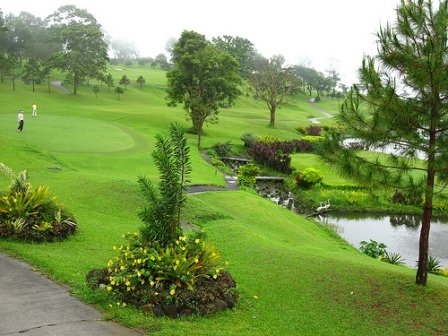 Have you played Golf at the Evercrest Golf Club & Resort?